Here’s our gender-neutral gift guide for the age one to two set. No faffing about trying to decide whether a gift is suitable for a boy or a girl; stock up on these ones and you’ll never have to think about it again! 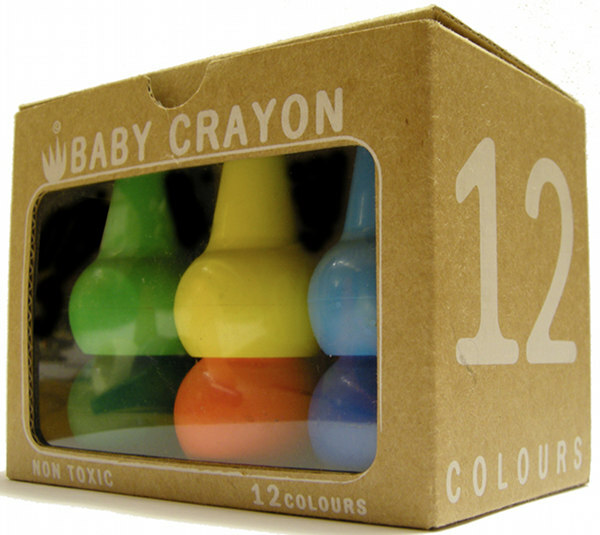 We’ve been enchanted with these wonderful Baby Crayons (above) by Studio Skinky since we first saw them at Kids Instyle and it seems the affection has caught on. Most of our team members agree that these are a top unisex gift for emergent little artists! They’re $12 plus post from Infancy. Charley Harper’s work is now adorning many desirable objects and the artwork has transferred beautifully onto things for children. We have the books in our home and many other products are available such as puzzles, memory games and colouring books. 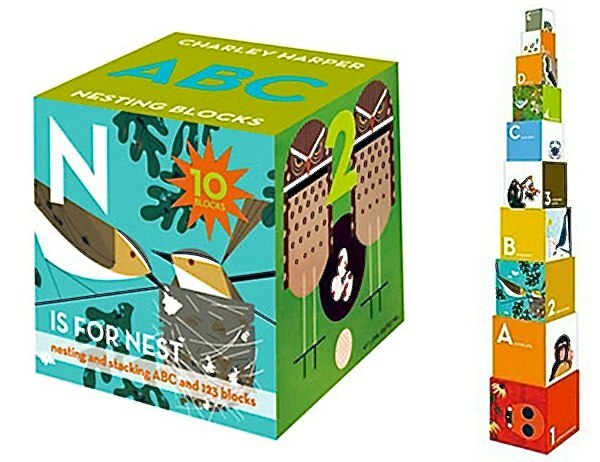 We love the Charley Harper Nesting Blocks for a fab gender-neutral gift – they’re $26.95 from Fishpond. 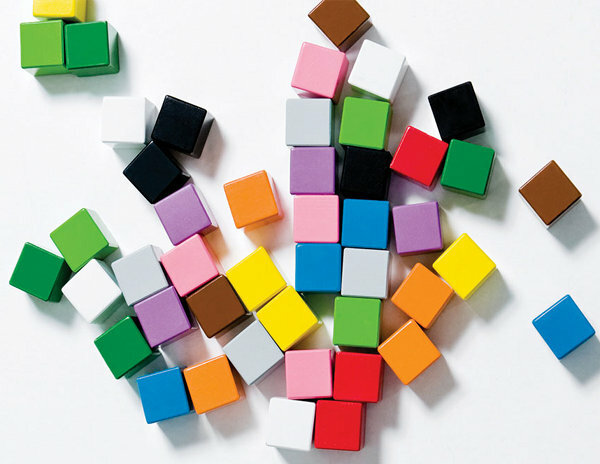 There’s a reason we keep coming back to and reinventing the traditional block; they’re a hit with the kidlets! 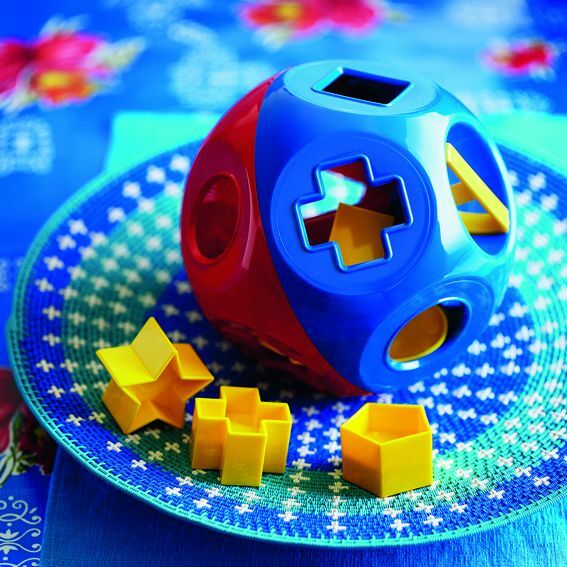 These wooden cubes are made by Kid O and Vanessa suggested them because they have typical girls and boys colours in them – so they cancel each other out. We agree! 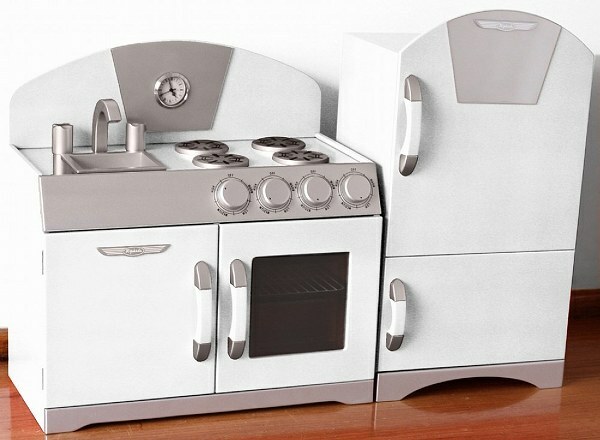 Get them for $79.95 for a set of forty-eight from Urban Baby. 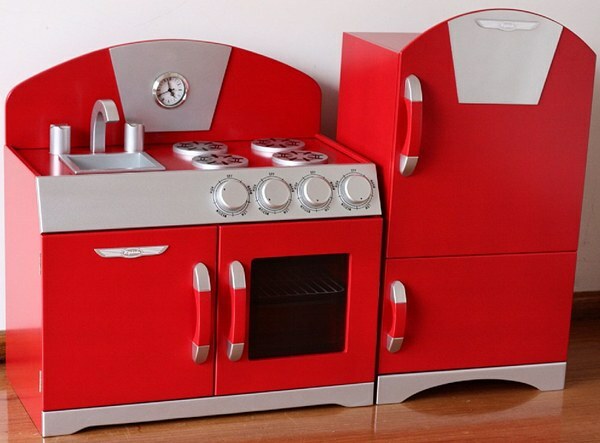 Cooking is a life skill for everyone to learn so we think a play kitchen in red is a wonderful unisex gift. This one is a Babyology favourite from Hip Kids and we notice it now also comes in another gender-neutral colour; white, available from mid to late August! This one should fit in so well with people who prefer a neutral colour scheme – we love it and you can pre-order now! Back to the traditional with the fabulous Tupperware Shape-O. Having entertained generations of children for years, it’s your child’s turn for a piece of toy history without a frill or vehicle in sight. It’ll cost you $38.45 from your local Tupperware seller or scout around on auction sites. Next up, gender-neutral gifts for our three to four-year-olds!